Celebrating cars and culture from the 50s, 60s and now the 70s, Cooly Rocks On™ is back from June 5 to 9, 2019 with a completely free daytime line up. No longer simply a nostalgia festival celebrating the 50’s and 60s era, Cooly Rocks On™ is now immersed in cars and culture up to and including the defining elements of the 70s. 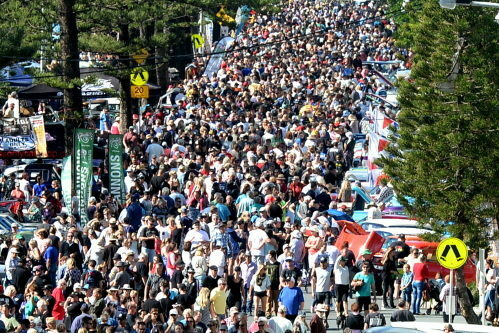 There is so much to savour at Cooly Rocks On™ 2019 with a host of incredible element such as cars, live music, dance displays, parades and markets, all set on stages, streets, parks and venues within iconic Coolangatta on the Southern Gold Coast. Live entertainment will fill the outdoor stages with Rock’n Roll, Swing and Rockabilly from the 50’s, 60’s and early 70’s and of course, the dance floors will be pumping. There will be retro markets and food vendors activated in a beachside event site with everything in walking distance. The culture will ooze from every corner with roving entertainment adding to the festival atmosphere. Hundreds of classic cars will line the streets, with this year’s car entrants displaying their models up to 1979 which incorporates the heady days of the ultimate muscle car era blending perfectly with the colourful classics. Along with new activations, all the favourite elements will be returning, cementing the festival as a signature event in Queensland. Car Cruises, pageants, sky diving displays and live bands are all prominent features of the 2019 program, leading up to the signature Street Parade. CEO of Connecting Southern Gold Coast, Josh Martin says that what’s in store for 2019 is incredibly exciting. 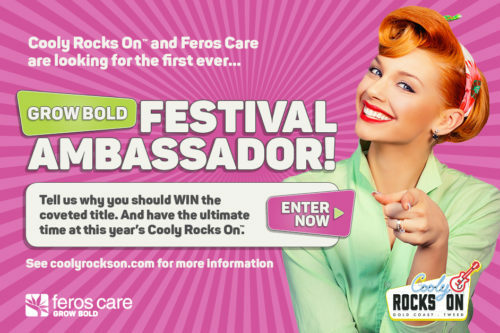 The Queensland Government, via Tourism and Events Queensland, is proud to support Cooly Rocks On™ which features on the It’s Live! in Queensland events calendar. Queensland, just the place to experience Australia’s best live events. There are more reasons than ever before to mark your diary – June 5 to 9, 2019, and taste and feel the best the 50’s, 60’s and 70’s has to offer with Cooly Rocks On™.